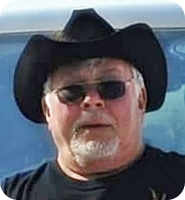 James B. Shurmack, aged 75, of Alto, passed away peacefully on Saturday, September 1, 2018 after a long battle with cancer. Jim served in the Navy from 1961-1966 giving him the opportunity to see the world and make lifetime friends. He especially enjoyed his travels across the US with the USS Kennebec Association, later on in life where he was able to reunite with many of his naval colleagues. Jim went on to have a wonderful career with General Motors where he was also a volunteer on the fire brigade at the shop. He retired in the mid 90’s and then worked part time at Saskatoon golf course. Jim was a successful hunter who enjoyed both gun and bow season. Those who knew him knew he liked to shoot off the guns any chance he got. Jim also enjoyed golfing and ran a 40-man golf league for many years making many friends along the way. Jim took pleasure in riding his Harley, fishing, and woodworking projects. His wife, Linda; sons, Ken and Dan Shurmack; and daughter, Abigail Shurmack, preceded him in death. He will be lovingly remembered by his daughters, Carrie Barrett, Jackie Bartley, Kelly Webster; 14 grandchildren; three great grandchildren; mother, Myrtle Shurmack; sisters, Bev (Glen) Chedsey, Bonnie (Brett) Rhinesmith; sister-in-law, Anne Hertel; and many nieces and nephews. The family will greet visitors on Wednesday from 5 to 8 pm and a funeral service will be held at 11 am Thursday, Sept. 6, at Stroo Funeral Home. Interment in Bowne Center Cemetery. Contributions in memory of Jim may be made to Faith Hospice. Jim and Linda did so much for our Kennebec Reunions to make them successful. Thanks for the memories and Thoughts and Prayers to the family.